Over the last 15 years there has been increasing interest in the topic of entrepreneurship education. 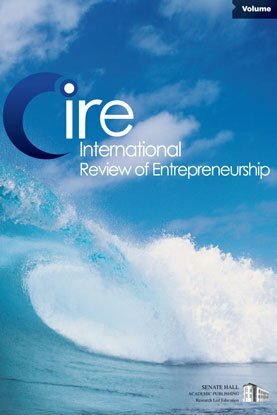 The practical nature of entrepreneurship has led to debates between those wedded to traditional ‘top-down instructive’ approaches, widely used in management education, and those adhering to a ‘bottom-up constructive’ approach promoted by progressive entrepreneurship educationalists (Gibb, 1993). It is proposed in this paper, however, that educationalists should avoid falling into the ‘either/or’ trap. Rather, it is important to adopt different learning approaches in order to create a collaborative model of entrepreneurship education. As a way of exploring these issues, data are presented on a unique pedagogical approach used during an intensive two-week training programme for 20 ‘scholars’ from the UK’s New Entrepreneur Scholarship (NES 2005a). The programme took place in Babson College (Boston) which is one of the world’s top entrepreneurship schools. A key objective of the course was to expose NES scholars to the unique nature of US entrepreneurial culture. The programme involved a wide range of learning approaches including conventional lectures, role-play activities, visits to entrepreneurial firms in Silicon Valley and periods of self reflection. Data were obtained by the first author who acted as a participant-observer (Junker 2004) during the programme. The learning process was conceptualised via the acronym SASBIC (Stimulus A, Stimulus B, Instructive and Constructive) which reflects the approach adopted in Babson’s training programme. A key outcome of this research, for both academics and training providers, is the importance of combining traditional and alternative approaches in the delivery of courses aimed at encouraging students to fulfil their potential as entrepreneurs.